VE UK, distributor for Giannelli exhausts, has announced the arrival of the high performance Shot exhaust system from Giannelli. The Shot is handcrafted at all stages of production to make sure that all the details of the exhaust are exact. Made from high quality steel and finished with a carbon fibre muffler, the exhaust system will save approximately 60% weight saving over the standard exhaust system, as fitted to the scooter by the manufacturer. Designed to improve the performance of all scooters with 70cc cylinders and upgraded carburettors. The system is available for three different machines: 70cc Piaggio engines, 70cc Minarelli engines and 70cc Aprilia motors. 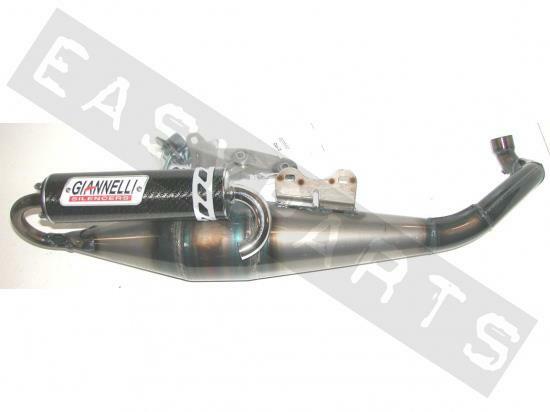 All Giannelli Shot Exhaust systems are priced at £129.45 RRP excluding VAT.